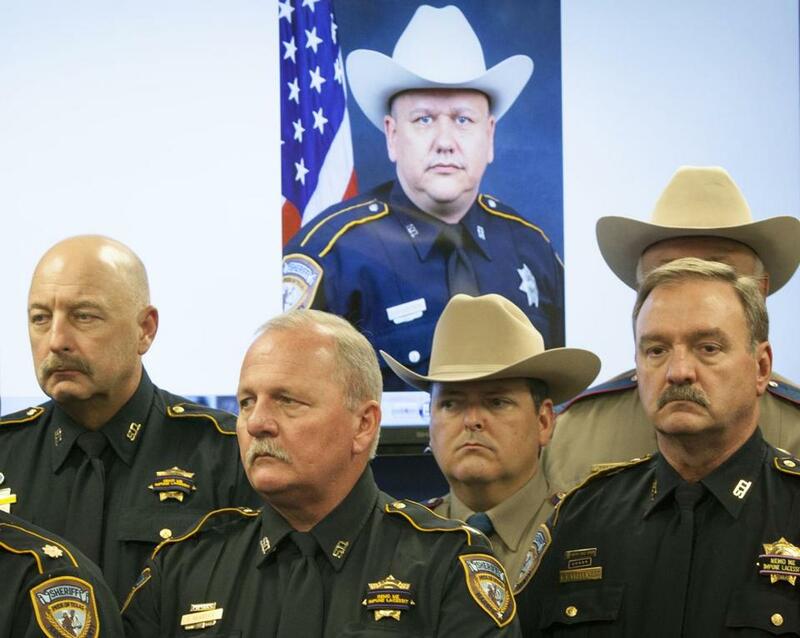 Police officers stood before a portrait of their slain colleague Darren Goforth in Houston on Saturday. A year after Ferguson, the country is arguing over slogans — Black Lives Matter v. Cops’ Lives Matter v. All Lives Matter. This angry debate over rhetoric misses the real, post-Ferguson issue for law enforcement: how police can better do their jobs to protect and serve, restore trust, and save more lives, including their own. That’s not just my view. It’s the view of several hundred police professionals who have been meeting and talking since Michael Brown’s death in Ferguson, Eric Garner’s death in New York, and many other incidents involving police use of lethal force. “What we have learned from police chiefs across the country in the last year is that good practices in policing protect everyone’s lives — community members’ and officers’ lives alike. This is not an either/or question,” said Chuck Wexler, executive director of the Police Executive Research Forum, a Washington-based think tank that convened meetings in Chicago and Washington. 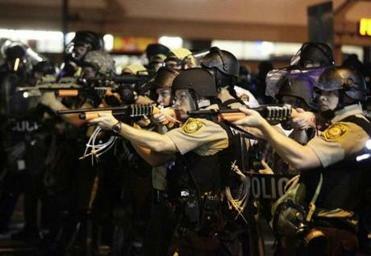 It’s simply impossible to talk incisively about what’s happening in Ferguson without talking about guns. No surprise there, given the spate of headlines about police officers murdered in Texas and Illinois. What has been labeled as the “cold-blooded assassination” of Deputy Darren Goforth, 47, in Harris County, Texas, is terrible to contemplate, as are other cases of officers gunned down in the line of duty. But that should not stop the soul-searching that began in Ferguson and continues following the release of another video that shows two officers in Texas shooting and killing a man who appears to have his hands up. The man, Gilbert Flores, was killed after two deputies responded to a domestic disturbance call. A police spokesman said the deputies “tried to use nonlethal weapons,” but ultimately shot him. Those are situations that cry out for “de-escalation” and a new thinking in policing that Wexler believes would reduce the number of deaths and injuries to cops and the civilians with whom they interact. De-escalation, he explains, means looking for opportunities to slow down a tense situation. If you are an officer responding to a call about a mentally ill person on the street — who is perhaps brandishing a knife — you don’t rush toward the person, because that might put you in a position of having to use deadly force. Instead, you keep your distance and start asking him questions, and try to make a connection. You ask for additional resources. You call for a crisis intervention specialist to come to the scene. The new thinking in policing is that time is an ally, not a disadvantage, especially in situations that involve the mentally ill, emotionally disturbed, or homeless. It will take more than slogans to perform that very difficult task in today’s complicated world. This angry debate over rhetoric misses the real, post-Ferguson issue for law enforcement: how police can better do their jobs to protect and serve, restore trust and save more lives, including their own.